It’s difficult to underestimate the importance of making a proper introduction into the adulthood for young girls. That’s why mothers always feel a lot of stress and worry regarding girls training bras. We selected the best training bra models from leading US online lingerie stores, so that you can easily find exactly what is needed. What is a training bra? It is a special kind of brassiere designed for young girls who started to develop breasts, but the regular undergarments don’t fit them yet. What is an optimal training bra age? Usually it’s around 14-16 years old, when the girl’s body starts to change. However, because such undershirts are made of natural materials, have soft band and unlined cups, there are even training bras for kids that are good for playing sports or simply staying active. 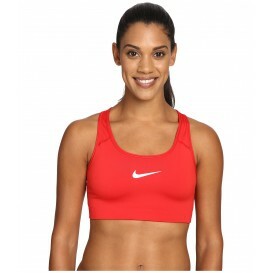 How to wear training bras? Training bras are designed to be easy to wear: a girl can just pull them over the head like a cami. We can’t guarantee that bra4her.com training bra selection will make your teen’s puberty easier, but it will surely make it more comfortable and pretty!